Nationwide shipping of all products is available. For an approximate cost, contact www.freightcenter.com or www.rlcarriers.com: compute the weight of the package assuming it has to ship on a pallet: for doors, a single jalousie door for instance weighs about 180 lbs with the skid and crating added, the class is 250, our zip code is 07512. Vinyl windows weigh about 25 pounds each; storm doors on a skid weigh between 140 for a single glass door to 180 lbs for a jalousie storm doors each; storm windows weigh about 15 pounds each. We will attempt to ship the least expensive way but need to insure its safe and timely arrival at your location. Also, shipping to a business location is less expensive than shipping to a residence. Crating and packaging costs will be added. For certain products, we may use UPS. Local shipping Located in busy northern New Jersey, we have a delivery radius of 75 miles on all products. 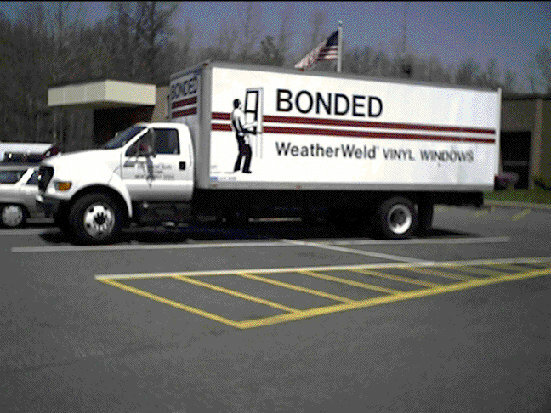 From Long Beach Island to Poughkeepsie, New York, from the Hamptons to Allentown, Pa., Bonded manufactures and delivers the products we sell. All products are made locally. Contact us for a dealer in your area, or if you would like to become a dealer of our products, contact us on your letterhead. International shipping is available. Contact us for a water or air carrier serving your nearest port of entry.